When the office products division of Stanley Black & Decker decided to spin off as a separate company and announced that they would have a new ERP system implemented in 12 weeks, with no interruption to their multi million dollar business, most people told them it could not be done. Their goal was to shut done the Stanley systems on a Friday and flip the switch on Monday to start processing orders and shipping product from the new Amax systems. Any delay would have been catastrophic to their business. At the same time, Amax had to keep operations running, find a new CFO, set up two new distribution centers and renegotiate a multiyear contract with one of its largest customers. Could it be done? AMAX was looking for an out-of-the-box solution that could be implemented quickly without a lot of customization but could still handle some of the complexities and volume of a business of its size. 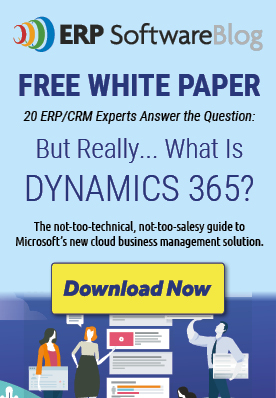 They chose Microsoft Dynamics GP with Vsync for EDI and SalesPad for the sales and customer service users. To meet their aggressive time schedule, Amax needed to be able to rely on a strong partner to manage the ERP implementation project from start to finish. They chose CAL Business Solutions, a Connecticut Microsoft Dynamics GP partner. “CAL had a great project plan. The data migration was very smooth. The whole thing went smoothly and was incredibly structured. Everything worked Monday morning and it was seamless to the customer. It truly went off without a glitch,” says Blanchette. CAL Business Solutions works with more than 75 distribution and light manufacturing companies in Connecticut and across the USA. Our clients use Microsoft Dynamics GP + SalesPad as a full featured yet affordable supply chain management system that connects sales, warehousing, purchasing, and finance. Our clients love that it includes interactive sales analysis tools, business intelligence dashboards, light order management CRM and flexible workflows. If you are a distribution company that is looking for a new ERP system, contact CAL Business Solutions. Read more case studies on successful Microsoft Dynamics GP installations. Do You Want Overpriced ERP Software for Your Distribution Company? VIDEO: Microsoft Dynamics GP Customer Review Video – New England Distribution Company. Sounds like they picked the right products and vendor (CAL)! Kudos to the AMAX team to; it takes a smart company with a strong internal team to get these kinds of results in 12 weeks too. Had great time in reading your article.Nice blog over Dynamics ERP.Keep blogging.